The influence of Asian cultures and religious traditions has often been used to explain Asian women’s under-utilisation and under-representation in management. This book examines the influence of culture and tradition on organisational and management practices, and how these affect the progress of women in management in Asian economies. This book, written by prominent scholars of the Asian region, explores which organizational and management practices are universal, and which other aspects (such as human resource practices) are culture specific, and how these in turn affect the advancement / representation of women in the Asian region. Higher educational levels, falling fertility rates and sectoral changes have contributed to women’s increasing participation in the labour force. As women become more educated and qualified for managerial positions, the number of Asian women managers and executives is predicted to rise over the next decade. The Asian economies covered by this up-to-date collection have undergone rapid economic transformation. Until now, most research on contemporary women managers has been drawn from studies conducted in developed countries. 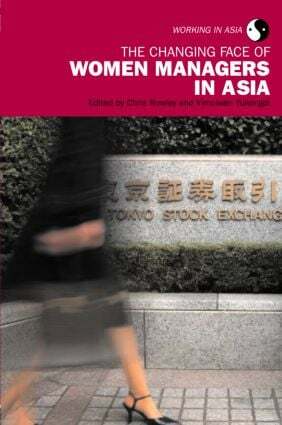 Covering case studies in China, Hong Kong, Japan, Malaysia, Singapore, South Korea, Taiwan, Thailand and Vietnam, this book uses different perspectives to examine the constraints, opportunities and challenges for women managers in the Asian context and presents an update on their progress in management.